With the winter season approaching, it's normal to feel the pressure of the coming holidays. We all stress over the expenses that come with Thanksgiving, Christmas, and the New Year. 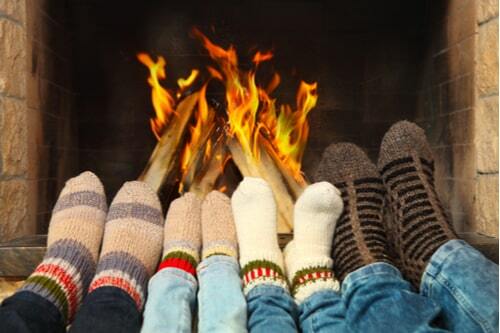 The winter season, however, is a big time for family and spending time together. This also costs us money. But there are all sorts of ways to spend time with your family and have fun without breaking the bank. Whether you have kids young or old, game night is a event that can be fun for all. If you already have some games in your home, you may not even need to spend any money at all. Get together some of your favorite board games, some snacks, and your family and you have a free and fun-filled night. If you don't already have any board games, you can play charades with your family without having to buy a game. Write out your favorite movies, characters, books, etc., on pieces of paper and put them in a bowl. Separate into teams, and battle it out by acting it out! Kids love to feel included and important when it comes to helping out their parents. By getting your children into the kitchen, you can have fun and teach them some life skills as well. Try baking something simple, you will eliminate some stress and keep the mood light. Try cupcakes, brownies, or a cake. Whether you choose to bake from scratch from your own recipe, or use a box of cake mix, this will be loads of fun for the family by working together. A family that cooks together, stays together. Many people think that they need to be experts in camping to have a camp-out. You don't have to go deep into the woods and have outdoor skills in order to do this. 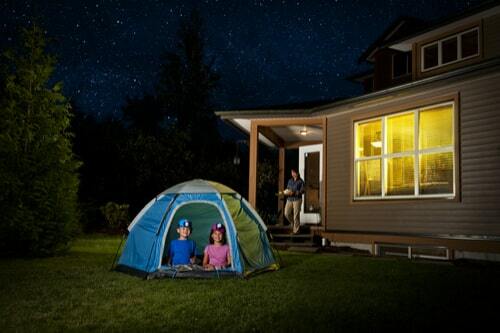 Have a camping night with your kids in your own backyard. Pitch a tent, get some lanterns, blankets, and pillows, and bundle up for this cozy night. Let your kids decide what they want to do. Do they want to read scary stories? Play games? Make S’mores? Keep them in the loop when it comes to making the decisions. This is a cheap and easy way to spend time with your kids and save money as well. Although this activity is not free, it typically doesn't cost much money. 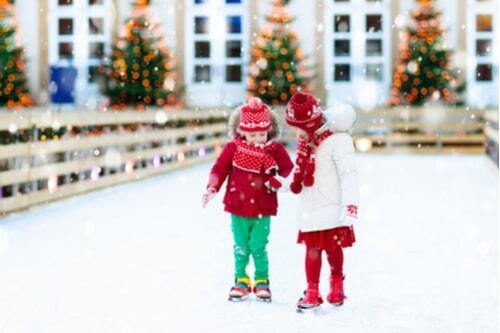 Get your family together and plan an evening ice skating. After ice skating, sit together and enjoy some cozy hot cocoa. Talk with one another, take some phones, and make new memories and traditions. This is a way to let loose and have a night with your kids that you all can enjoy, no matter the age. If this is not within your budget but you still would like to participate, you may want to look into taking out an installment loan. A loan can even assist with your holiday shopping and decorating.